"Ribosomes are complex machines composed of both RNAs and proteins that make all the proteins necessary for cells to grow," said UdeM biochemistry professor Gerardo Ferbeyre, the study's senior author. Cancer cells grow and proliferate relentlessly and thus require a massive amount of ribosomes, he explained. Growing cells must coordinate the production of both ribosomal RNAs and ribosomal proteins in order to assemble them together in strict proportion to each other. 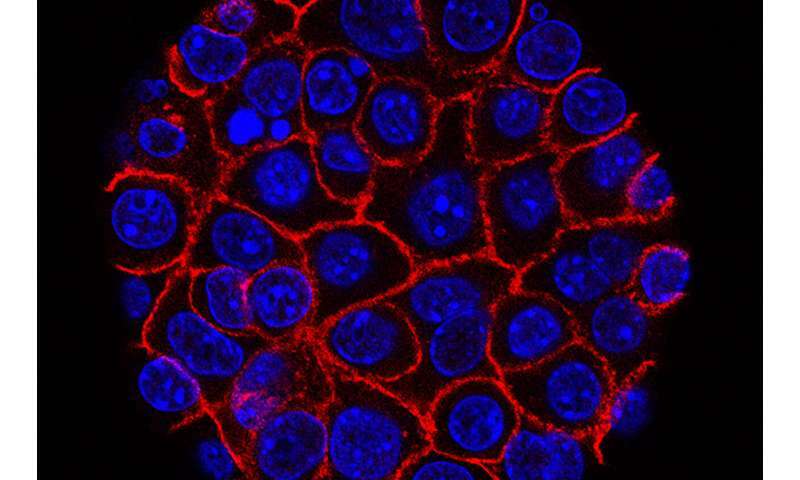 "We were surprised, however, to find that if the production of ribosomal RNA-protein proportions are driven out of balance in a cancer cell, proliferation can be shut down by in a very simple and direct manner," said Ferbeyre. Lessard noted immediate therapeutic implications of the team's discovery. "A drug that shuts down ribosomal RNA biogenesis would immediately lead to an accumulation of ribosomal proteins outside the ribosomes, and since tumor cells make more of them, they would be preferentially affected by these kinds of drugs," he said. Added Oeffinger: "The physical interaction of RPS14 with CDK4 is the most direct link between ribosome synthesis and cell proliferation regulatory pathways discovered to date. It is therefore likely a very specific way for cancer progression to be prevented." The study "Senescence-associated ribosome biogenesis defects contributes to cell cycle arrest through the Rb pathway" was published June 25 in Nature Cell Biology.